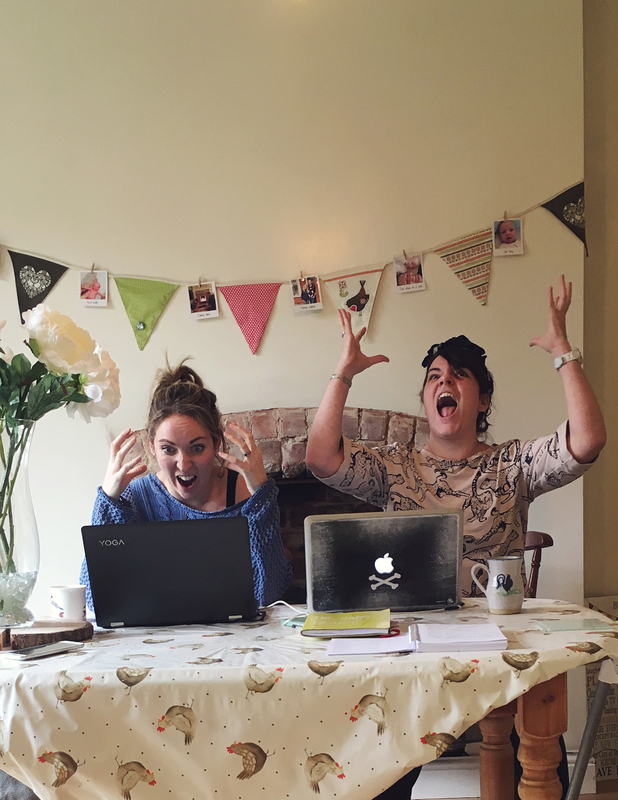 Who knew blogging was so hard?! For the last few weeks, instead of slaving over a hot stove we’ve been slaving over a hot laptop. But who knew it was going to be so hard? We’ve been deciphering codes, inserting hyperlinks and generally googling the hell out of blogging but you’ll notice the recipe page is finally looking a bit fatter. This picture sums up how we’ve been feeling, if only we’d thought to put a swear jar on the table, maybe it would have paid for a web developer to do it all for us!